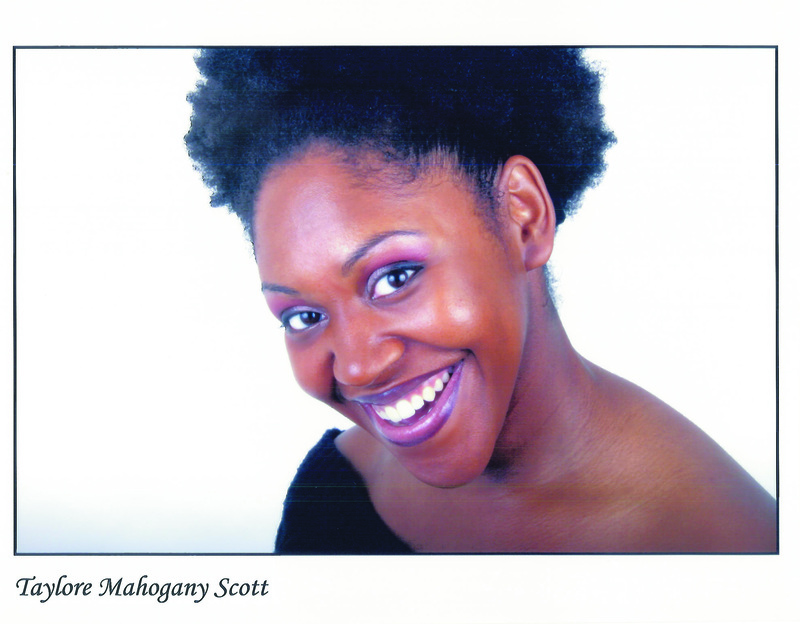 Feb. 15, 2010 -- “Ain’t I A Woman?” will be the 13th event of Arkansas State University’s Lecture-Concert Series on Wednesday, March 3, at 7:30 p.m. in Riceland Hall, Fowler Center, 201 Olympic Drive, Jonesboro. In t his new musical theatre work for actress and chamber music trio (cello, piano, percussion), the Core Ensemble celebrates the life and times of four very powerful African American women: novelist and anthropologist Zora Neale Hurston; folk artist Clementine Hunter; ex-slave and abolitionist Sojourner Truth; and civil rights worker Fannie Lou Hamer. This event is co-sponsored by the Office of Diversity at ASU, and like all Lecture-Concert events, is free and open to the public. 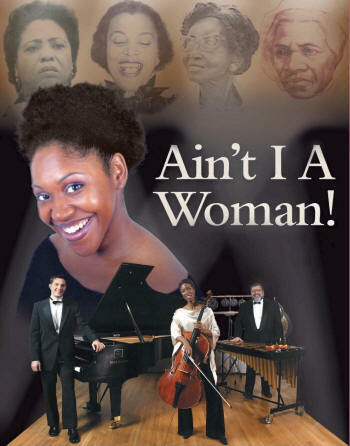 The musical score for “Ain’t I A Woman?” is drawn from the heartfelt spirituals and blues of the Deep South, the urban vitality of the Jazz Age, and contemporary concert music by such American composers such as Charles Mingus, Thelonius Monk, Max Roach, and Diane Monroe. "Ain't I A Woman?" is the name given to a speech, delivered extemporaneously, by Sojourner Truth, a slave in New York State, at the Women's Convention in Akron, Ohio, in 1851. Truth argued that while American antebellum (pre-Civil War) culture often placed white women upon a pedestal and gave them certain privileges (most notably that of not working), this attitude was not extended to black women. 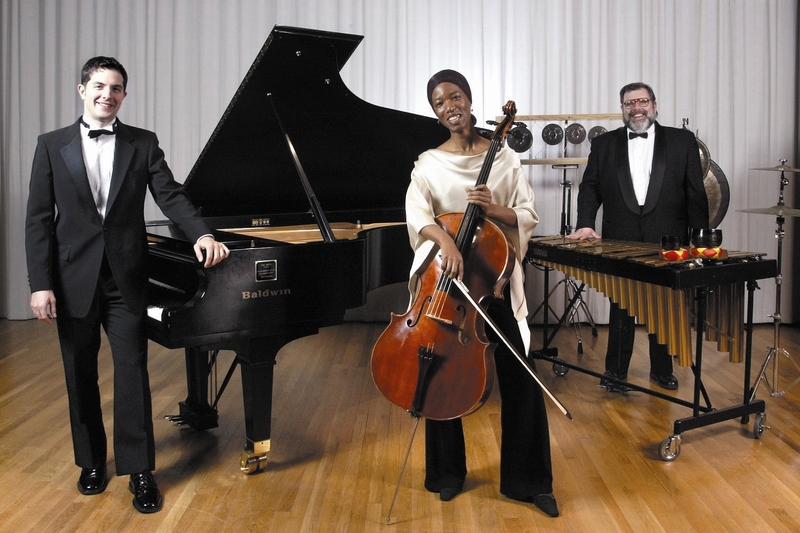 The Core Ensem ble features Tahirah Whittington on cello, Hugh Hinton on piano, Michael Parola on percussion, and Taylore Mahogany Scott as the performing actress. “Ain’t I A Woman?” is the most recent production of a series of multicultural and feminist performances produced and performed by the ensemble over the past decade. The Core Ensemble has toured in Australia, England, Russia, Ukraine, the Caribbean, and in all regions of the United States. The Core Ensemble is currently touring as part of Black History Month and will be performing at Arkansas State University as part of Women’s History Month. For more information about the Core Ensemble, visit their Web site (http://www.core-ensemble.cc/index.htm). For details, contact Dr. Gil Fowler, associate dean for the Honors College, at (870) 972-2308.The Lecture-Concert Series presents diverse programs to enrich the cultural life of the campus, community, and region. --Molly Carpenter, senior public relations student intern in the Office of Public Relations, researched and wrote this release.